INQ readying a Spotify mobile? INQ, the makers of low cost social networking mobiles, is set to release a branded Spotify phone, according to sources. TechCrunch is reporting it has spoken to someone within INQ camp and they have confirmed it is in the design stages of such a device. The phone being spoken about is the branded hardware to be used as part of the new Telia deal in Sweden, but with the UK being one of INQ's core markets, an international version isn't a stretch of the imagination. Li Ka-shing, the Chairman of Hutchinson Whampoa (which owns INQ and mobile network 3) is now a member of the Spotify board, along with INQ CEO Frank Meehan. 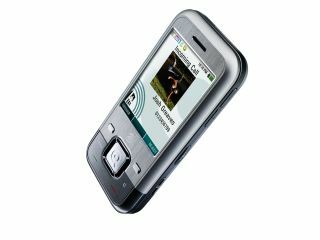 Although neither has spoken of such a device, INQ's handsets have been colloquially known as the Facebook and Twitter phones, thanks to native support for both platforms at a low cost. Therefore the heritage of cheap handsets making full use of a web phenomenon won't be a stretch. We're currently waiting to hear from INQ on the matter, but we're anticipating a big old 'No comment' on that front.